This entry was posted in Canada Immigration canada immigration Visa and tagged Canada Immigration Migrate to Canada Visa on December 19, 2015 by Blog Author. 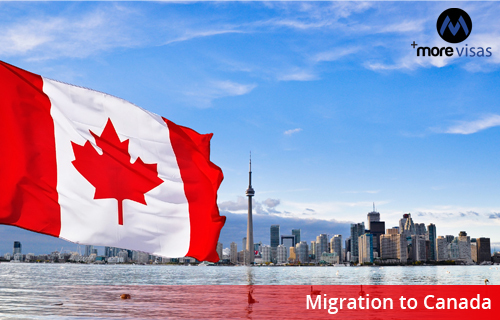 Migration to Canada unlocks the door for your winning career. It is an astounding and eminent country for its attractive landscapes and natural attractiveness. This country has got an extremely high standard of living with numerous urban capitals and also has wide-ranging outdoor activities. This country offers plentiful chances for many global citizens in contributing a wide range of works or learning courses. It is the mother country for many abroad immigrants. The warmth and kindness exposed by their citizen’s make you experience enthralled. Though this nation is the second largest and has a flourishing economy due to the lack of skilled workers it has laid a “red carpet” for the international skilled immigrants worldwide. So this is a fabulous opportunity for many foreign persons who are excited to start their fresh career can gladly migrate to Canada as they need abundant immigrants to work live in their country. Migration to Canada has a variety of types of immigration programs. Based on your reason you can select the immigration program. Canadian Experience Immigration: candidates who are wishing to settle permanently in this country and have a work experience previously can apply for PR under this class. Investor Immigration: under this program there are several programs like Quebec investor, Quebec entrepreneur, provisional entrepreneur etc. this type of immigration is best suited for the investors, entrepreneurs, and for new start-ups. Therefore, migration to Canada is no doubt an amazing thought which makes your career flourish with the aforementioned immigration process. If you are interested, Please fill out our Enquiry Form, so that one of our visa expert will get back to you.